American University in Bulgaria (est. in 1991) is an American style liberal arts university offering first-rate education. 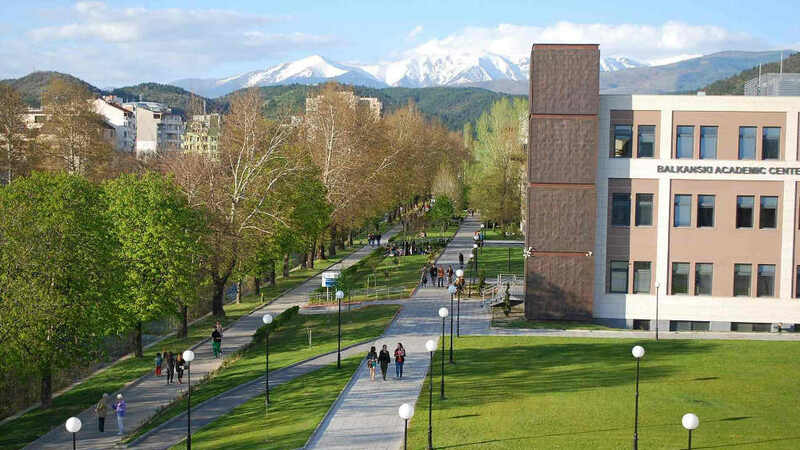 AUBG is accredited in the US and in Bulgaria and the diploma is recognized worldwide. The University offers 10 primary BA programs, 2 secondary ones, as well as an Executive MBA program. It provides the best state-of-the-art facilities in the region: high-tech classrooms, computer labs, comfortable dormitories, a modern English-language library, and a unique student center. Renowned scholars mentor students who represent more than 40 countries. Most graduates continue their studies at the best universities in the world. AUBG alumni are one of the most sought-after specialists who occupy top positions at multinational companies, national governments, or leading NGOs worldwide. The conference will take place at the Skaptopara Campus of the American University in Bulgaria. The easiest way to get to the AUBG campus from abroad is to fly. 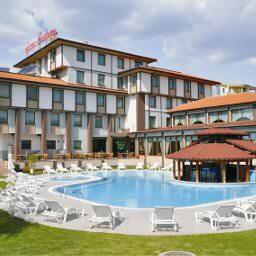 The nearest airport is Sofia Airport located at Sofia, about 100 km north of Blagoevgrad. Limited travel support is available to full & affiliate AMICAL members. For your convenience, shuttle buses have been arranged to take you from Sofia Airport to Blagoevgrad upon your arrival, and back again after the conclusion of the conference. You can reserve a place with the registration form; this service is included with your registration. A driver will be waiting for you at the arrivals area with the sign "AMICAL CONF". You can also make the trip by taxi. There is no need to reserve a taxi in advance. A long line of taxis is waiting at all times. The taxi stand is located on the right-hand side of the Terminal 2 building. Taxi drivers do not accept credit cards and will only accept Bulgarian leva. Please make sure you have enough cash with you. The fare is approximately 120 leva (€ 60), usually indicated on the taximeter. Bulgaria is a member of the European Union as of January 2007, thereby enforcing the General Visa Policy of the EU. Visas are not required by citizens of member states of the Schengen Area, as well as some non-E.U. countries, for a short stay period of up to three (3) months. Citizens of the majority of the countries that are not member states of the EU require a visa to enter Bulgaria and the European Union. Visitors from these countries can obtain further information from the Bulgarian Embassies and Consulates in their counties. If you require an official invitation letter from the organizers in order to attend the conference, tick the appropriate box when filling in the Registration form. All hotels are similar in terms of quality and provide the following amenities: breakfast, Wi-Fi, digital TV, mini-bar, air-conditioning and telephone. You will be able to reserve your accommodation during registration. You may, if you wish, express a preferred hotel for your reservation, and the organizers will do their best to honor this request. However, since there are a limited number of hotel rooms available at each hotel, some attendees will be given rooms at a hotel different from their preference. Shortly after the 15 April registration deadline, you will receive a reservation confirmation indicating the hotel where your room has been booked. Financial support is available to full & affiliate members for the nights surrounding their days of participation in the event. Consortial Partner Institutions/Individuals, and anyone not from an AMICAL institution, must cover their own hotel costs. Full and Affiliate AMICAL Members must also cover any hotel nights beyond those surrounding their conference attendance. Those concerned may contact the organizers about the conference rates available. Regular bus service between the hotels and the campus will run daily, depending on the program schedule. You can view the schedule if you login to your account. You will be busy with a packed conference program and the all-conference dinner, but we hope you’ll find a bit of time to enjoy Blagoevgrad. Blagoevgrad is the major town in the picturesque Southwestern Bulgaria and one of the most important economic and cultural centers in this region. Blagoevgrad also allows easy access to the Bulgarian capital of Sofia (approximately 100 kilometers to the north) and to the borders of Greece, the Republic of Macedonia, and Serbia. Blagoevgrad is renowned for being surrounded by many historic sights and attractive tourist places to visit. The town of Blagoevgrad is very pleasant to walk around. There are large portions of downtown devoted only to walkers. You can have a nice walk in nature to Bachinovo Park that runs parallel to the Bistritsa River. At the end of this nice walk you can enjoy the beautiful Bachinovo lake and taste traditional Bulgarian cuisine at Vodenitsata tavern or just relax over a drink at the local café. Another place for a nice walk is the old town Varosha, a typical Bulgarian style neighborhood where the town’s orthodox church is situated. The town also offers a range of restaurants with different cuisine such as traditional Bulgarian, Chinese, or Italian food, as well as pastry shops and fast food chains. Tap water in Bulgaria is fresh, free, and safe to drink. The large pedestrian area in the center of town is dotted with cafés, small parks, an opera house, a theater, a historical museum, and a cinema. The vibrant nightlife of Blagoevgrad exceeds with its many clubs and discotheques. 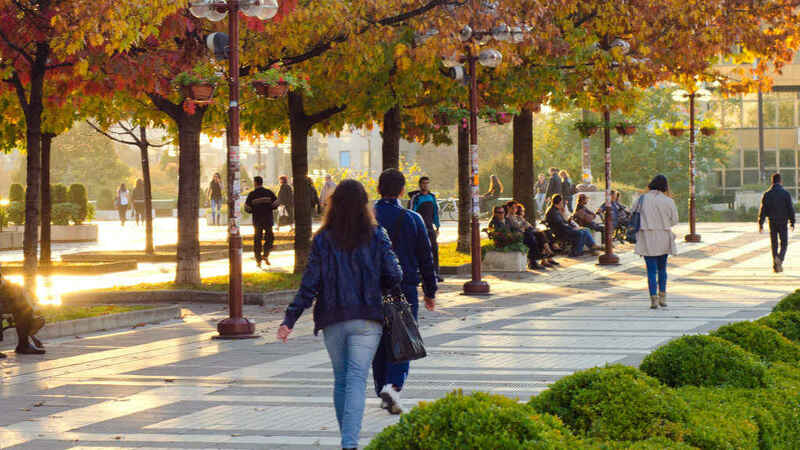 In May Blagoevgrad celebrates many holidays and there will be a variety of cultural, musical and public events, organized by the Municipality. Bulgaria is in the Eastern European Time zone (EET). The difference between Greenwich Meridian Time zone (GMT) and the time in Bulgaria is +2 hours. 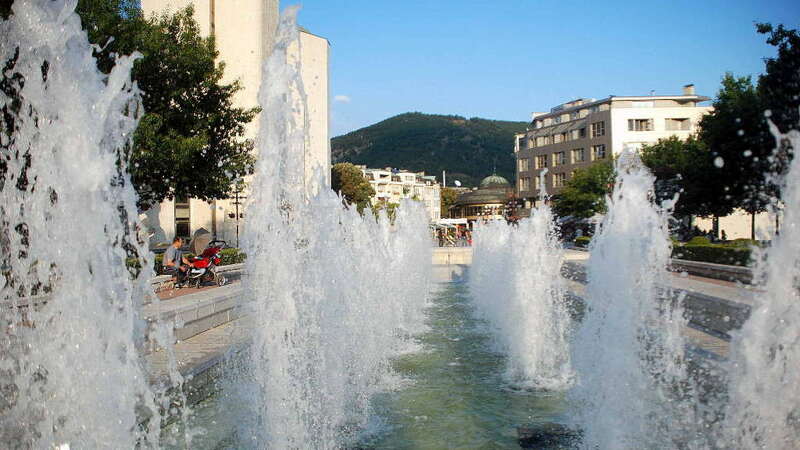 In May, the weather in Blagoevgrad may be quite warm during the day and slightly chilly at nights. The average temperatures range from 25° C to 11° C. Rain is very likely so an umbrella and a light raincoat are advisable, as well as a light sweater for the evenings. Bulgaria is a member of the EU but is not in the euro zone. The national currency is the lev (plural leva). One lev is made up of 100 stotinki. You can exchange euro for leva at any bank or exchange bureau. The euro-leva exchange rate is fixed and is about 1 euro=1.95 leva. However, for dollar to lev exchange, it is best to check the currency exchange rate of the day. Banks are usually open Monday through Friday from 8:30 am to 4:30 pm although some banks may stay open until 5:30 pm. All banks are closed at weekends and on public holidays. Exchange offices or exchange bureaus usually have longer working hours. Most of them work until 6:00 pm. Most major credit cards are accepted in Bulgaria. Cash dispensers are marked “Bankomat” and are available at the airports and all over town. Mobile phone coverage is almost 100% anywhere in Blagoevgrad. When calling Bulgaria from abroad dial +359 followed by the area code - 073 (omitting the initial zero – i.e. 73) and the number required. We advise you to have Health & Travel Insurance before coming to Bulgaria. Emergency cases will be dealt with locally at the AUBG Health Center. Electrical current in Bulgaria is 220 V/50 Hz. Round. Two-pin European style plugs are used. Appliances designed to operate on 110/120 Volts need a voltage converter and a plug adapter. International adaptors can be found in the major electric shops. Conference venue. “Amerikanski Universitet Biblioteka” refers to the Balkanski Academic Center (BAC) where the conference will be held. Hotels. 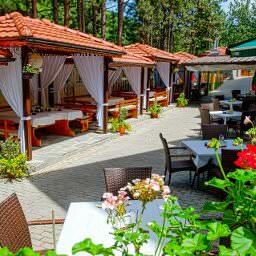 “Hotel Park Bachinovo”, “Hotel Ezerets”, (the hotel name prefigured by the word “hotel”). 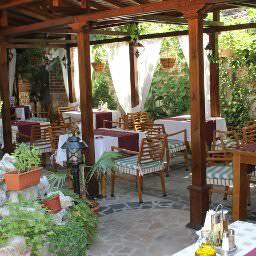 You can get from almost any part of town to another for about two euro (four leva). Taxis are willing to wait for you for as long as necessary. They do not expect tips but it is nice if you tip them. Hotels will be happy to call taxis for you, but just in case, it’s good to have a phone number of a trusted company. Bulgarian is a Slavic language and uses the Cyrillic alphabet. Street signs are in Cyrillic and shop signs may be in either the Latin or Cyrillic alphabet. Restaurants will usually have menus in both Bulgarian and English and servers will be able to communicate with you in English. Bulgaria is smoke free in all public buildings as well as in restaurants, bars, cafés, and shops. Designated smoking areas are located outside. Several post-conference trips are available to attendees. To join the trips to Sofia or Plovdiv email your request by 11 May to gatanasova@aubg.edu. Please note that the expenses for the trips to Sofia and Plovdiv will not be covered by AMICAL. Sofia sightseeing places: Alexander Nevski Cathedral, National Historical Museum, Boyana Church, National Palace of Culture, National Assembly Square, National Library “St. St. Cyril and Methodius”, Prince Alexander of Battenberg Square, Sofia University “St. Kliment of Ohrid”, Monument of Sofia, and others. Rila Monastery is the largest and most famous Eastern Orthodox monastery in Bulgaria. Founded in the 10th century, the Rila Monastery is regarded as one of Bulgaria's most important cultural, historical and architectural monuments and is a key tourist attraction for both Bulgaria and Southern Europe. A sign-up sheet for the trip will be available at the conference check-in desk. A guided tour of Blagoevgrad that will take approximately 2 hours.